Far-left Vermont Sen. Bernie Sanders often touts himself as an opponent of the “fossil fuel industry,” but he’s actually one of its biggest customers. While Sanders wants to hit normal Americans with even more crippling taxes on the energy we use, he’s living a comfortable life of luxury in private jets. While campaigning for himself and various Democrats for the November midterm elections, the senator spent nearly $300,000 with Apollo Jets, a private jet service, according to VTDigger, a Vermont watchdog news site. Sanders used the private jet service to make stops in Iowa, Nevada, South Carolina and California. The entire trip lasted only nine days. “This expense was for transportation for the senator’s 9-day, 9-state tour to support Democratic candidates up and down the ballot ahead of Election Day,” said Arianna Jones, senior communications adviser for Friends of Bernie Sanders. Sanders is a walking contradiction. Imagine a 77-year-old socialist riding around in private jets asking hard-working Americans to make sacrifices. If the senator really sympathized with everyday Americans, he’d sit in uncomfortable commercial airline seats with the rest of us. But even first-class seats aren’t sufficient for Sanders. He needs a private jet. 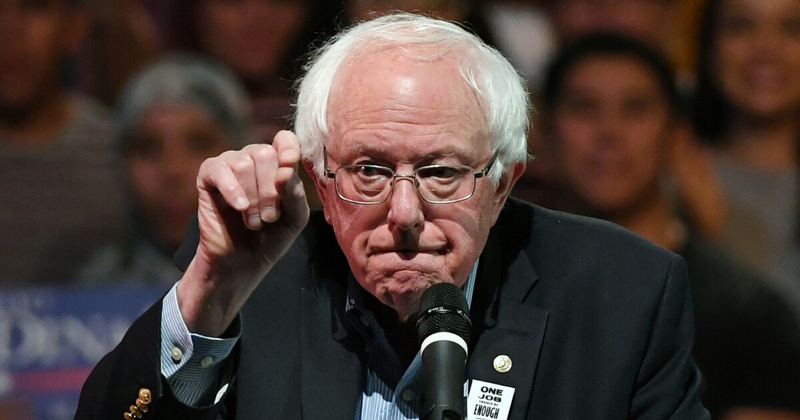 Fossil fuel companies are more than happy to hear that Sanders spent $300,000 on private jets.